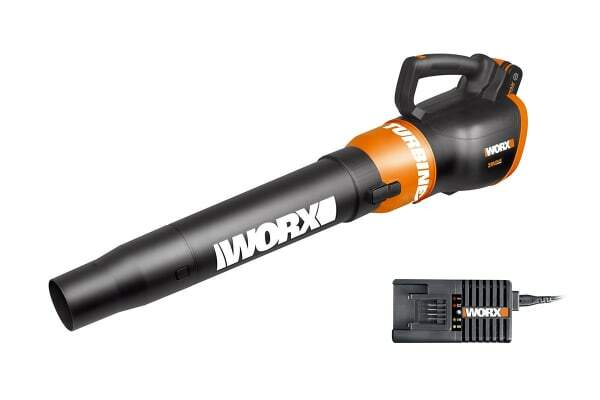 The WORX 20V WORXAIR Cordless Turbine Blower with Turbine Fan technology gives you high air volume flow in a compact and lightweight design. 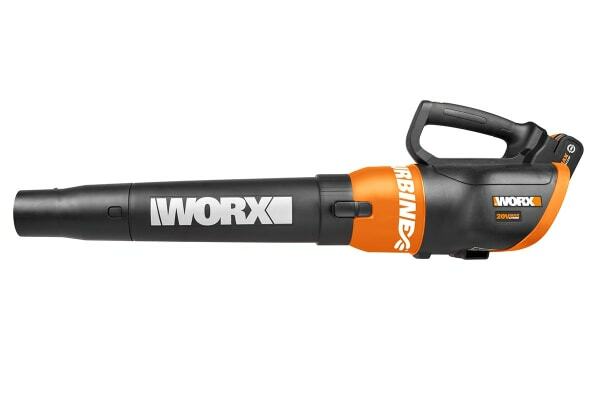 The WORX 20V WORXAIR Cordless Turbine Blower features a two-speed control, making it perfect for jobs ranging from light-duty cleaning to full leaf removal on any type of surface. 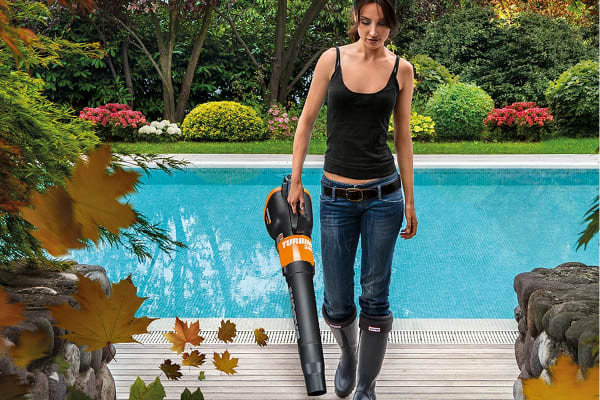 Plus, the Hyper-Stream air nozzle is perfect for those extra tough conditions. 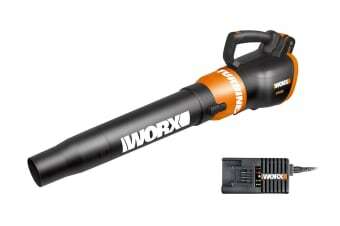 Thanks to the Powershare platform, this will allow you to interchange your batteries with your other 20V WORX tools.